When Susan and Lucy Pevensie left London, never suspecting their future adventures in Narnia, they would have looked something like this! 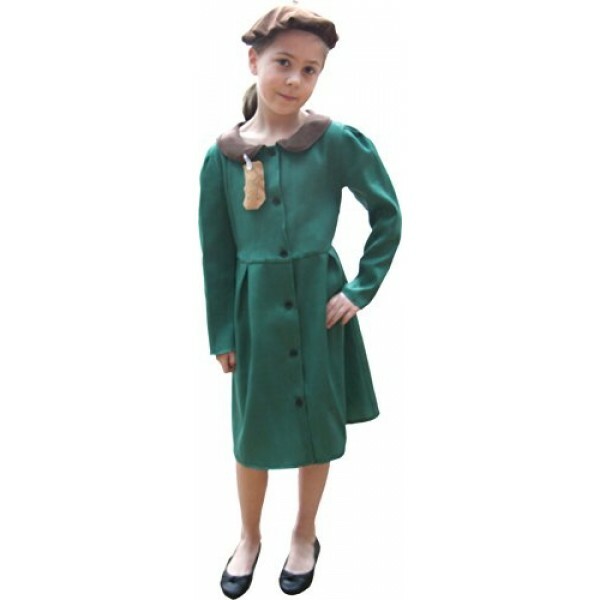 This costume set includes a green button-up dress and matching hat. Please note: boots / shoes and tights not included.